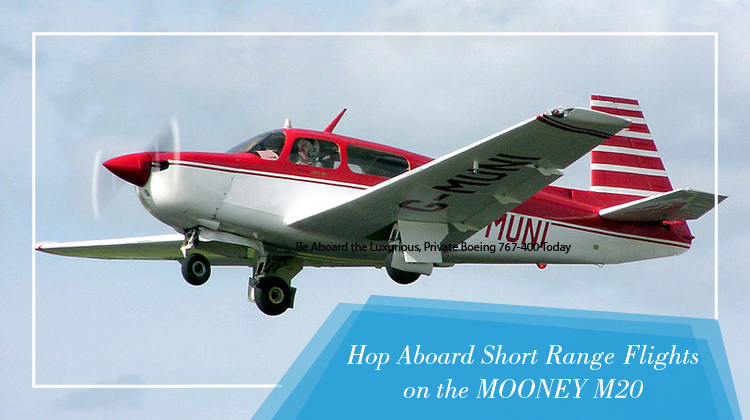 If you’re gearing up for an excursion or business meeting, a 2 hour flight on board the Mooney M20 would be quite convenient. This aircraft has practical interiors which let you sit comfortably while looking out the window as you get awed by the sceneries you’ll fly by. Upon your departure in Toronto, Canada, the Mooney M20 lets you reach as far as Alberta or Cancun, Mexico. It also has Short Take Off and Landing (STOL) capabilities so you have more airport options to choose from. Going for a vacation need not be tedious. Now there’s no need to risk yourself of flight cancellations, since you can reserve for a private flight on board the Mooney M20. One of its latest features includes a WiFi connection for you to stay in touch with your friends, family and professional networks. An internet connection also allows you to send instant messages to your colleagues or check your app, so you’ll stay on top of your projects. To make the most of your trip, it’s always best to confirm the plane’s facilities with your operator. Know more of Mooney M20‘s specifications, and book your very own private trip today. This 4 seat aircraft has sufficiently spaced interiors where passengers can comfortably seat and look out the windows. With wide windows, the Mooney M20 allows for travelers to have better views of mountains, landscapes, seas and cities. Additionally, it would be much easier for sunlight to enter the cabin thus giving off a much brighter look inside the aircraft. Hopping aboard the Mooney M20 lets you in for an aerial treat as you get to see the clear blue skies above and beside you. During summer, you’ll see the relaxing greeneries of landscapes from above. In wintertime, snow-capped mountains are just a sight to behold. Perhaps you may be maximizing the range of your chartered Mooney M20. In this case, it’s best and much safer to confirm its allowable baggage weight and passenger count with your chosen operator. Usually, lighter aircrafts will reach farther locations at much faster paces. Thus you’ll most probably need to lighten your load to reach your intended destination. 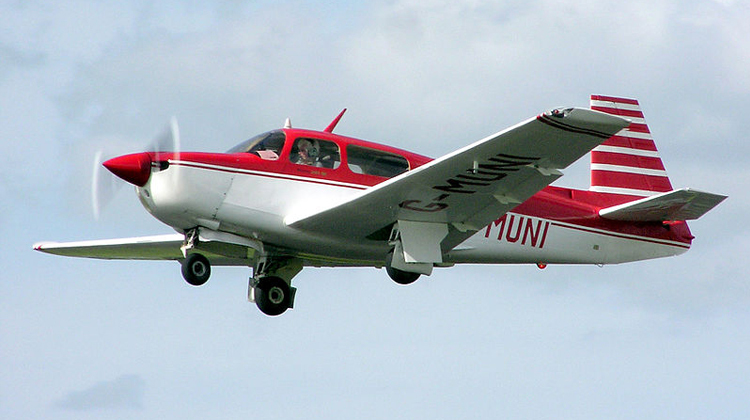 Manufactured by Mooney Airplane Company, the Mooney M20 had its first flight in 1955. It roughly has less than 11,000 units produced and being flown throughout the world. With the objective to increase its fuselage length, 17 other variants followed in its developmental footsteps. Their corresponding modifications were applied to function for various flying purposes. As another fun fact, did you now the Mooney M20 was also flown by Robin Miller in Australia? This was a significant event throughout the aircraft’s service history, since Miller (also known as the Sugar Bird Lady) flew the Mooney M20 to distribute polio vaccines throughout the continent.